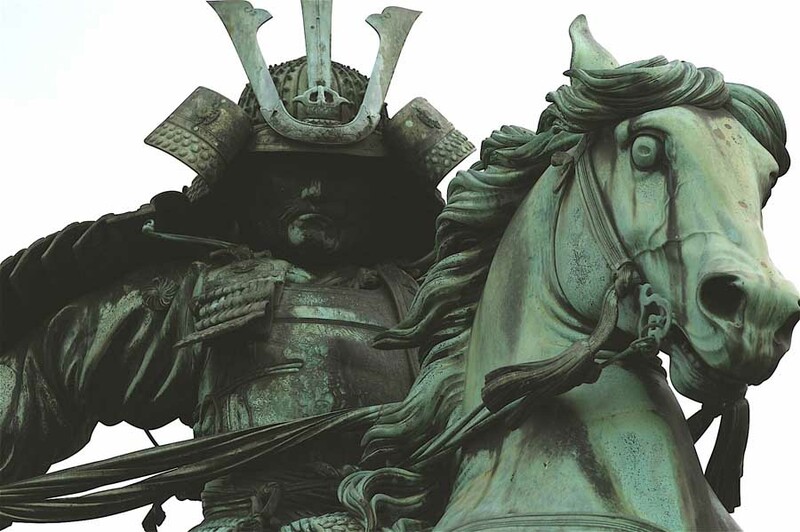 The samurai warrior is the penultimate symbol and epitome of masculine courage, honor and justice within Japanese tattooing, and the samurai represents the highest masculine ideals within Japanese culture. 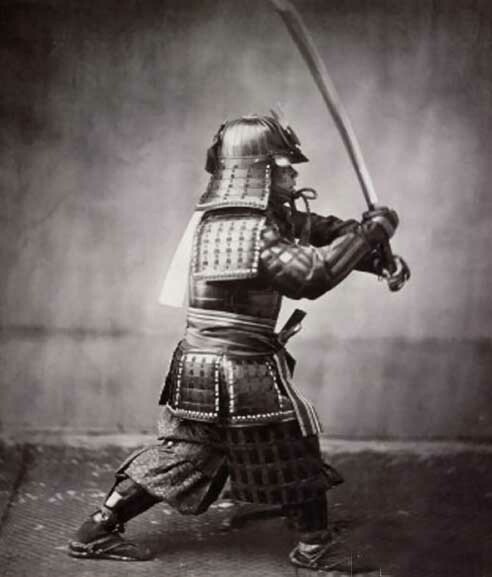 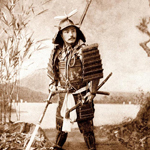 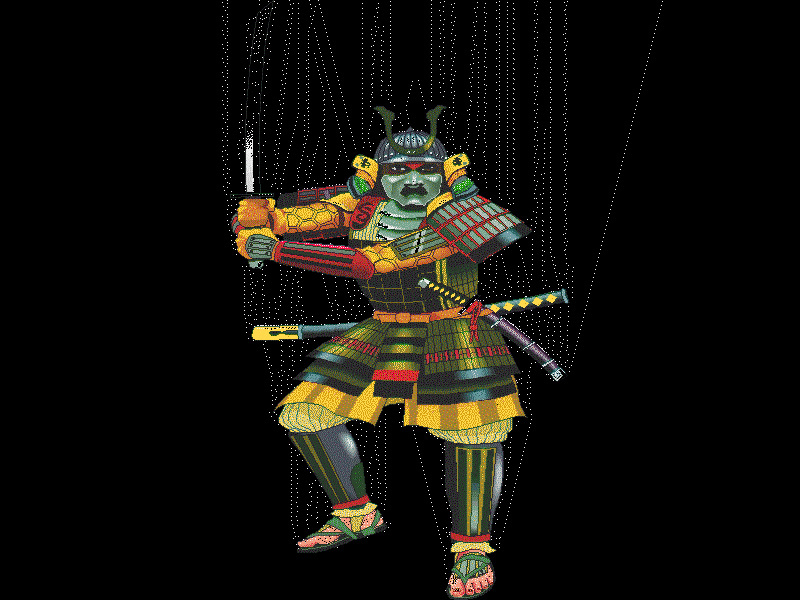 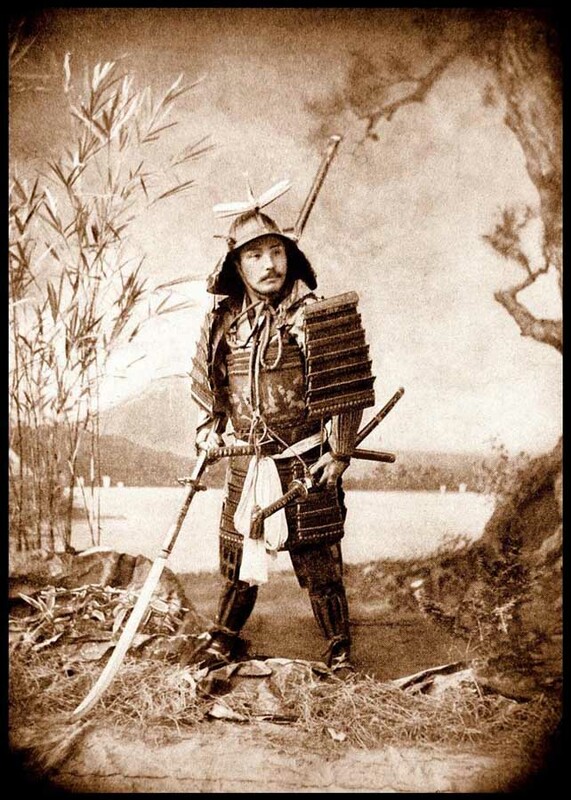 The samurai adhered to a strict code of conduct called "Bushido", meaning "the way of the warrior". 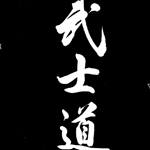 Bushido was based on the Zen Buddhist principles of Rectitude, Courage, Benevolence, Respect, Trust, Honor and Loyalty until death. 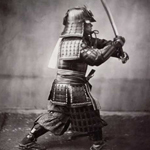 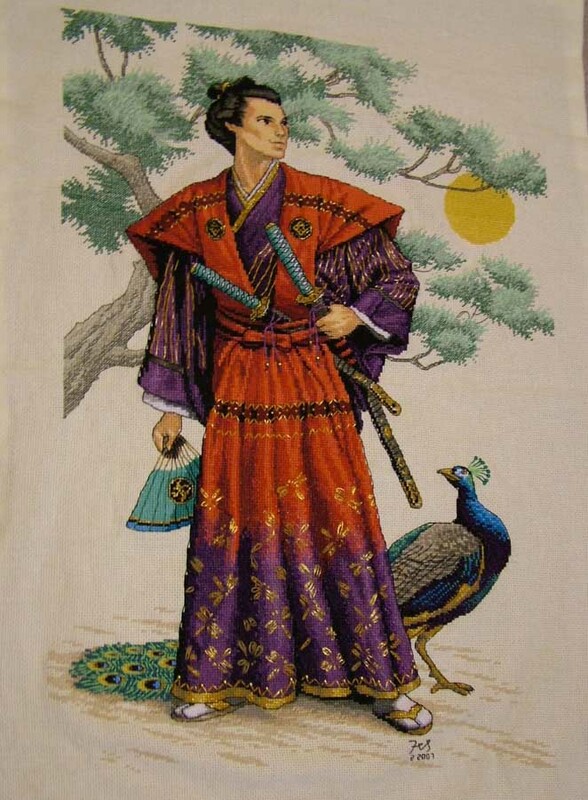 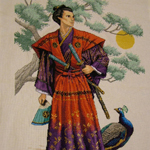 Other ideals to which the samurai aspired were self-discipline, frugality, self-sacrifice and nobility. 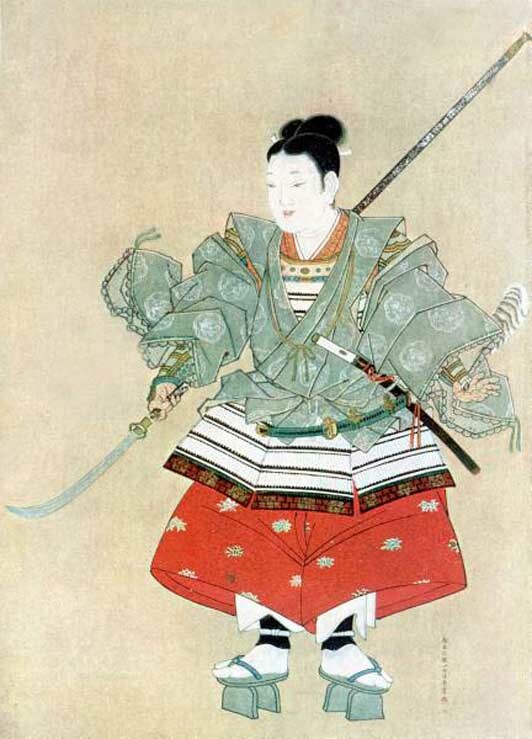 The sword became the symbol of the samurai, and the specific sword known as the katana, was curved, slender, and single-edged with a long grip that could be held with both hands. 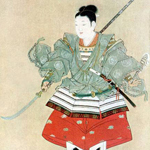 His armour was of leather or iron and covered with lacquer – not wood or bamboo as popularly believed. 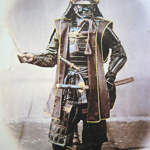 The armour and helmet of Darth Vader appears to be based on that of the samurai, circa 1600. 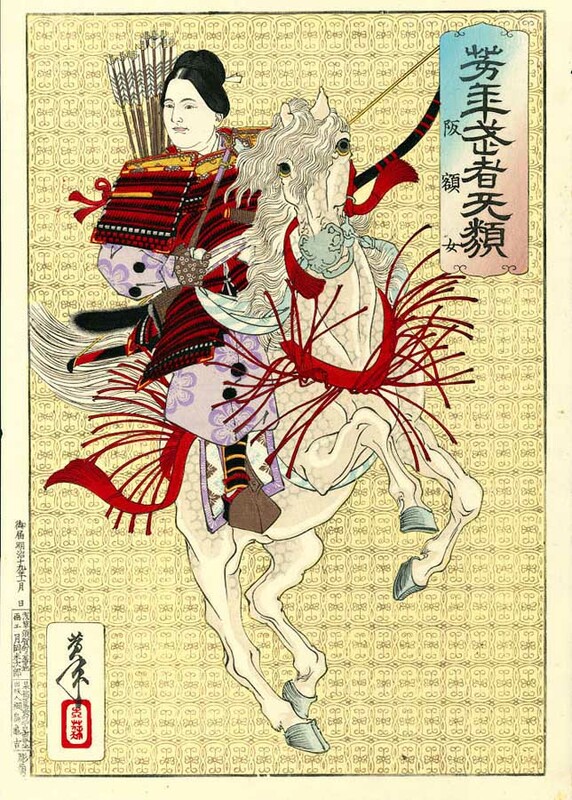 Symbols of the sun, moon, and stars were used by the samurai and appeared on their helmets and flags. 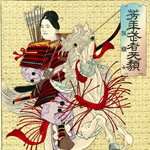 Their celestial powers were believed to aid the warrior in battle. 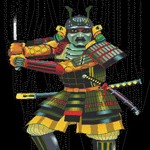 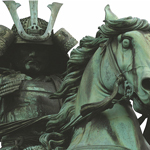 As a tattoo design, the samurai symbolizes all the highest ideals of Bushido, honor, loyalty and duty. 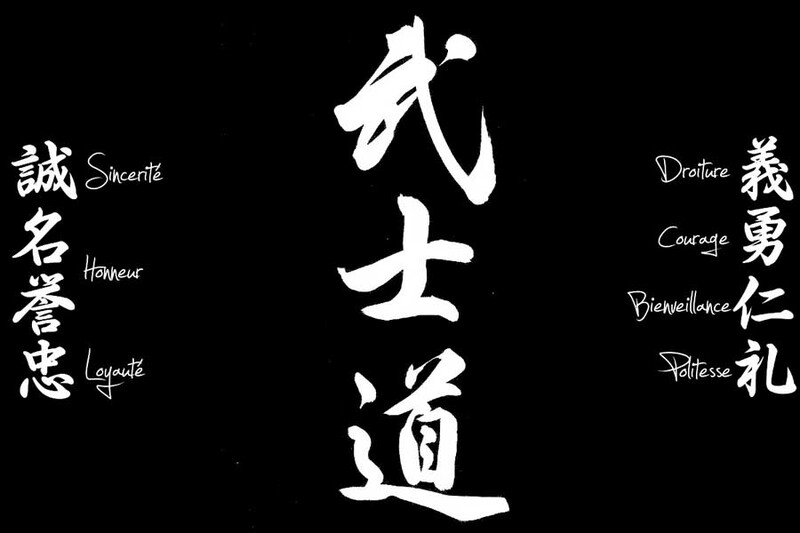 It expresses the wearer's understanding and appreciation of the importance of living in the moment, of taking not one second of existence for granted. 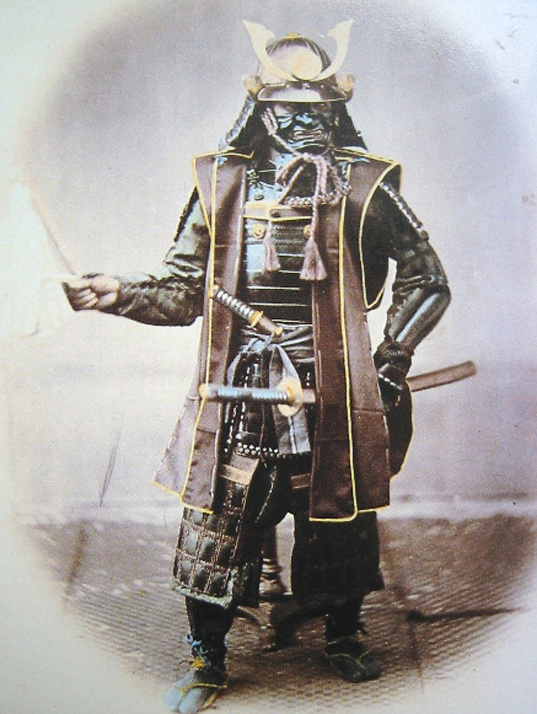 See also: Hannya Mask Tattoos, Geisha Tattoos and Japanese Tattoo Index.